When it comes to naming the archetypical Rolex, there are a few models that come to mind. For many who look for watches out in public, sometimes known as “watchspotting,” the typical Rolex stands out. Because Rolex’s model progression is evolutionary rather than revolutionary, it is easy to discern that classic solid Oyster case profile from miles away. The solid Oyster bracelet and reflective sapphire crystal are what certainly makes a Rolex stand out in a crowd. Further defining a Rolex is the cyclops over the date window, and a clasp that fits with the Oyster bracelet. How the watch is worn also makes a Rolex stand out. 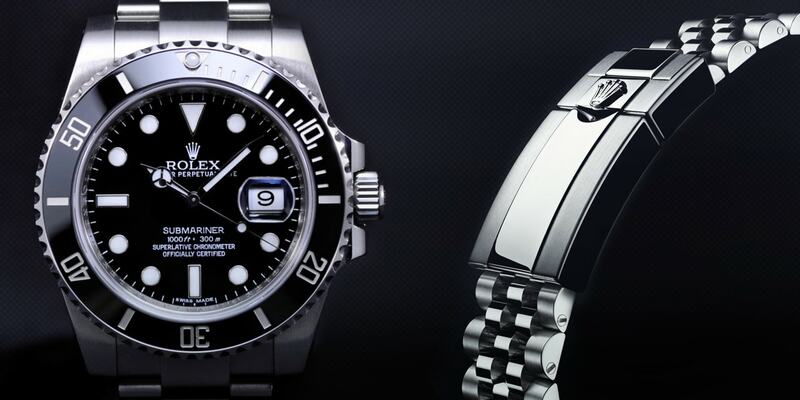 Most Rolexes are heavier than their all stainless counterparts, and certainly heavier than a G-Shock or Suunto. Subsequently, Rolex wearers tend to keep the bracelet looser than if it was a plastic watch so the watch head hangs lower on the wrist. On many Rolexes, the sapphire crystal protrudes beyond the bezel just slightly, giving the crystal some visual prominence. Without question, the Rolex Submariner is one of the most popular and most recognized wrist watches on the planet. The Submariner has all the visual qualities noted above, but also has a raised caseback lifting the watch off the wrist more than other Rolex watches. Also popular in the Rolex sport line found in the wild is the Rolex GMT-Master. The watch cases are very similar to the Submariner. The classic Rolex Submariners and GMT utilize a case that is of the same proportions and the newer ceramic bezeled versions also have similar cases with boxier lugs, but the GMT is slightly thicker. Making the classic GMT Master stand out in the crowd is the two-tone blue-red or red-black bezel. Also popular is the Rolex DateJust. Until recently, the DateJust was smaller than the sport counterparts. Now the DateJust is available in 41mm rather than in 36mm. Nevertheless, the standout feature of the DateJusts is a fluted white or yellow gold bezel and Jubilee bracelet. Other than in some vintage GMT Masters, it is very rare to find a Jubilee bracelet found on any other watch than a DateJust. 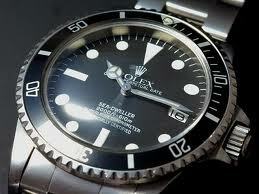 When people think of Rolex, it is the Submariner, GMT-Master, or DateJust that comes to mind. Do you see any other watches not in this archetypical Rolex list?